American soul singer Bobby "Blue" Bland was born in Hoover-era Tennessee. As a teen, Bobby relocated to Memphis and made his bones on the legendary Beale Street. After returning from an early-'50s stretch in the Army, Bland work-horsed his chops, then started recording, amassing his legacy. Classic titles include "I Pity the Fool," "That's the Way Love Is," and "Turn On Your Love Light." Bland spun out hits like candy, positioning over 50 singles on the R&B Top 40. Collaborations include Joe Scott, Wayne Bennett, Ernie Fields Jr., B.B. King, and Van Morrison. Among his accolades are induction into the Blues Hall of Fame (1981) and the Rock and Roll Hall of Fame (1992) and a Lifetime Achievement Grammy Award (1997). In 2013, the nonstop road show ended with the passing of the legend at his home near Memphis. 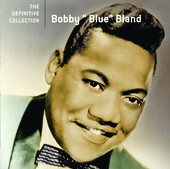 Rediscover the bluesman with "I'll Take Care of You," from Bobby "Blue" Bland--The Definitive Collection. White Sea is the electro creation of L.A.-based songstress and cellist/pianist Morgan Kibby, former czarina of The Romanovs. White Sea's lineup is rounded out by Jonathan Bates, Ray Suen, and Amy Wood. Among Kibby's credits: vocals on film trailers for Lady in the Water and Harry Potter and the Goblet of Fire; tracks for TV's Boston Public, Girls, and Judging Amy; plus a batch of releases to date, with long-play In Cold Blood issued in 2014. Collaborations/shared stages include M83, The Killers, Jonathan Leahy, Moses Sumney, Tokyo Police Club, The Japanese Popstars, and Depeche Mode. 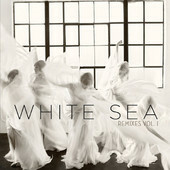 Get "Ladykiller (Gigamesh Remix)," from the 2011 project White Sea Remixes, Vol. 1-EP. Dance! Born at the heart of the Olympia, Washington, grunge scene in 1995, experimental-punk outfit Old Time Relijun thrived with its unique alchemy. After moving to Portland, Oregon, the lineup comprised brothers Aaron (upright bass) and Benjamin Hartman (sax, woodwinds), Arrington de Dionyso (vocals, guitar, horns), and Germaine Baca (drums). Collaborators/former members include puppetmaster Calvin Johnson and drummers Phil Elvrum (The Microphones), Bryce Panic, and Jamie Peterson. 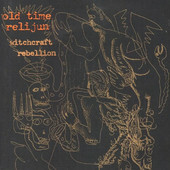 Old Time Relijun has issued a klatch of releases to date along with several compilation appearances. Queue up "Vampire Sushi," from Old Time Relijun's 2001 project Witchcraft Rebellion. Sonic madness in a jar. London-born soul singer/songwriter Andreya Triana brings it with truehearted fidelity. Bitten by the music bug in early girlhood, Andreya started singing, and by high school she took to the stage and never left. Collaborations/shared stages include Flying Lotus, Andy McCarthy (a.k.a. Mr Scruff), Simon Green (a.k.a. Bonobo), Some Freak, Fink, The Decoders, Kerri Chandler, and Detroit Swindle. Highlights include Glastonbury, the North Sea Jazz Festival, Croatia's Soundwave, and Bulgaria's Horizon Festival. 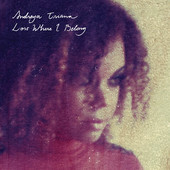 Get started with the stirring "Darker Than Blue," from Andreya Triana's 2010 full-length Lost Where I Belong. 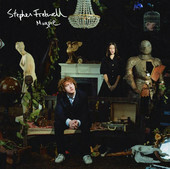 Singer/songwriter Stephen Fretwell was born in the English rust-belt town of Scunthorpe during the early Thatcher era. Discovering his musical way as a teen, he founded his first band by the late '90s. In 2000, Fretwell exited college and moved to Manchester, taking it pro and setting his trajectory. He has since issued nine projects to date and often works out of New York City. Collaborations/shared stages include Last Shadow Puppets, James Iha, Adam Schlesinger, Eli Janney, Alex Turner, Belle & Sebastian, and Elbow. Highlights include features in The Joneses (starring Demi Moore and David Duchovny), Brit flick Love + Hate, and TV's Gavin & Stacy and Brothers & Sisters. Download Stephen Fretwell's beautiful "Play," from his 2005 release Magpie. L.A. rock quintette Everest is the sound of deep places. The unit was founded in the aughts, captained by singer/songwriter and multi-instrumentalist Russell Pollard (Sebadoh, Alaska!). Current members comprise Joel Graves (guitar, keys, vocals), Elijah Thomson (bass, vocals), Aaron Lee Tasjan (guitar, vocals), and Dan Bailey (drums, percussion). The ensemble has delivered up a savory raft of projects to collect. Shared stages/collaborations include Neil Young, Wilco, My Morning Jacket, Jakob Dylan, Richard Swift, Rob Schnapf, Fritz Michaud, and The General Assembly. 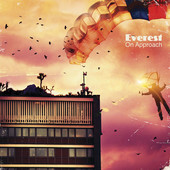 Download "Catalyst," from Everest's 2011 full-length On Approach. Buy full album!